I saw this event on Facebook and thought I would give it a go. Blue House Yard is situated in Wood Green. 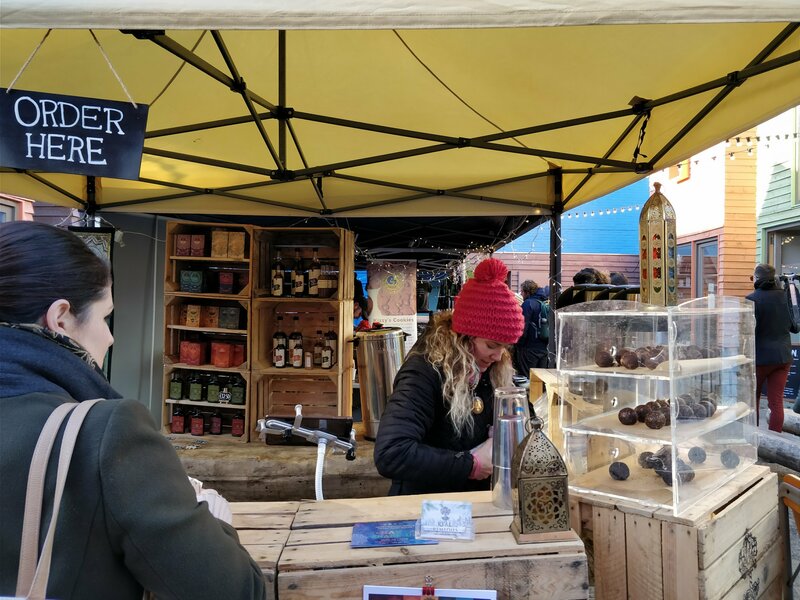 I have never really visited there so it was nice to see a vegan market popping up in a new area. I jumped on the Picadilly line and I was there in no time. 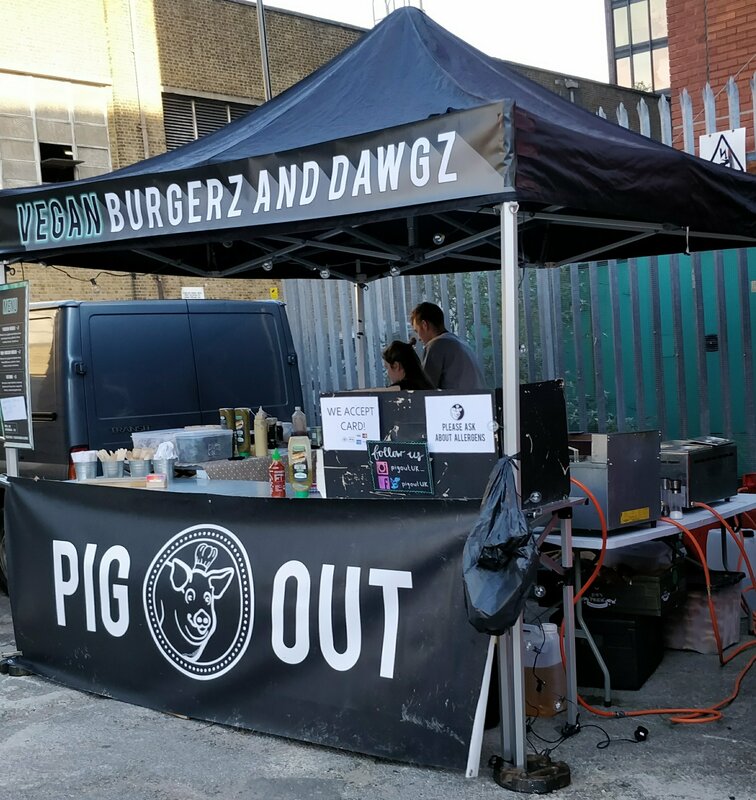 The market was smaller than I was expecting, but there’s only so many vegan burgers and cakes you can eat! There were also a number of shops housed in sheds which are a permanent feature. There was a stationary store, a plant store, a vintage clothings store, a cake shop, a wood engraving and sculpting store and a craft beer store. 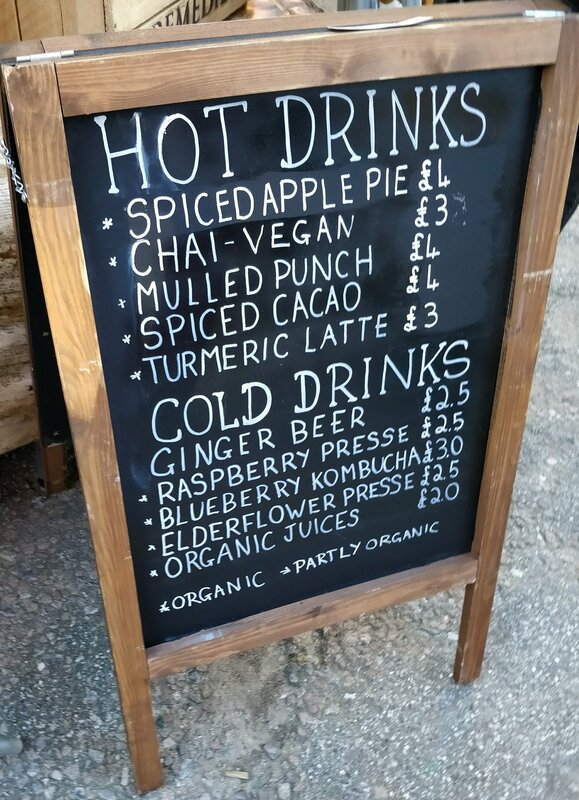 I got there just as it was starting and the main food people were setting up so I started with an apple drink which was lovely, sweet and hot. 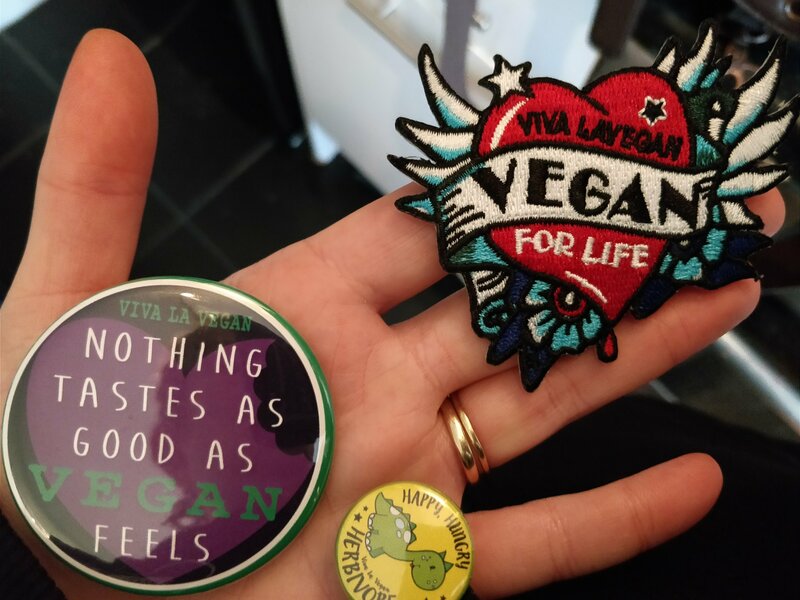 I then stopped by Viva La Vida to pick up some bits. I love their stuff and chose a badge, patch and zipper pull. I can’t wait to put the patch on the top pocket of my jacket. For food I decided on Jake’s Vegan Steaks as I’ve seen them at lots of events but never tried them myself. 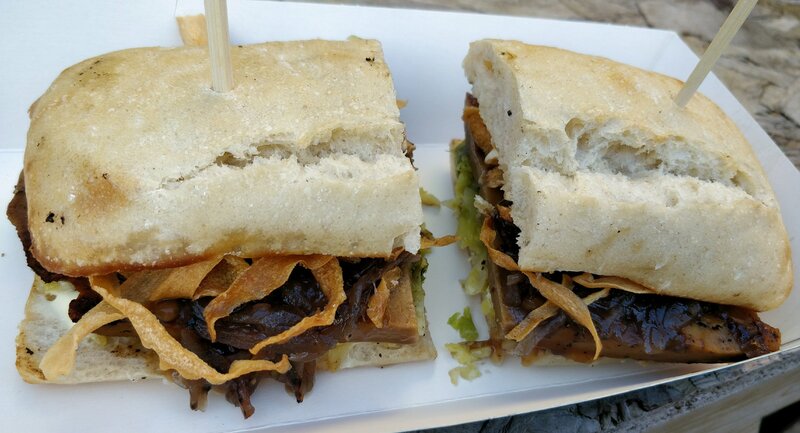 They were serving a dish called “The Christmas Cracker” which came with mayo caramelised onions, Brussel sprouts and crisps parsnips on a ciabatta roll. The steak has quite a neutral flavour but I think this lends itself to lots of different toppings like this Christmas one. 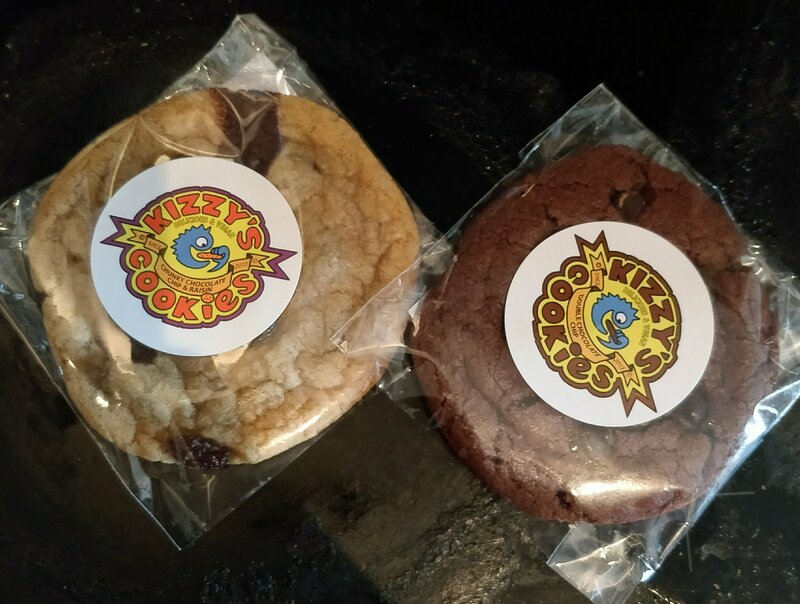 For sweet treats I went for a couple of cookies from Kizzy’s Cookies, these are seriously the best cookies I’ve had, nice and soft. 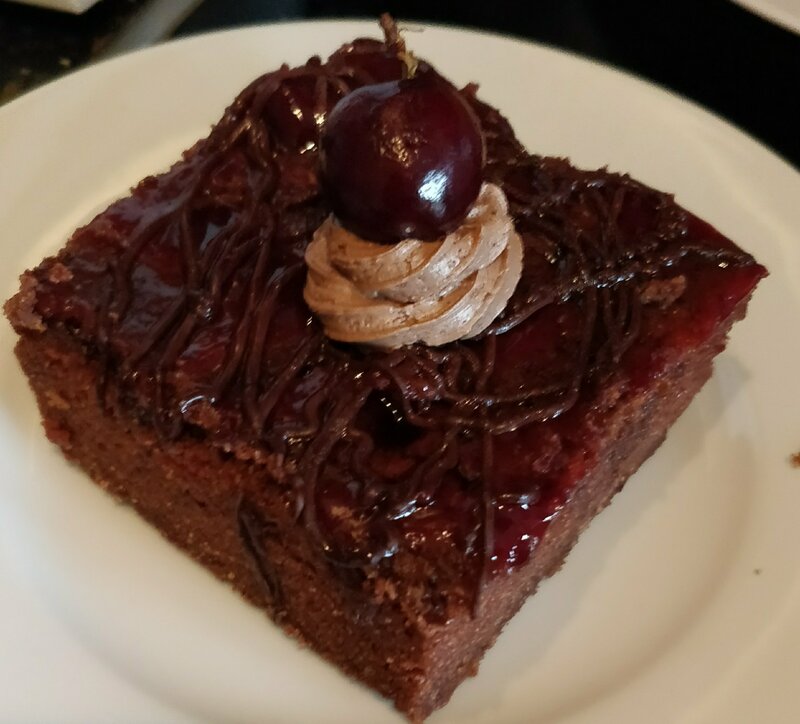 I also bought a chocolate cherry cake from Vegan Sweet Tooth to share with my Husband as it was huge! I always pick something up when I see these guys at fayres and markets. 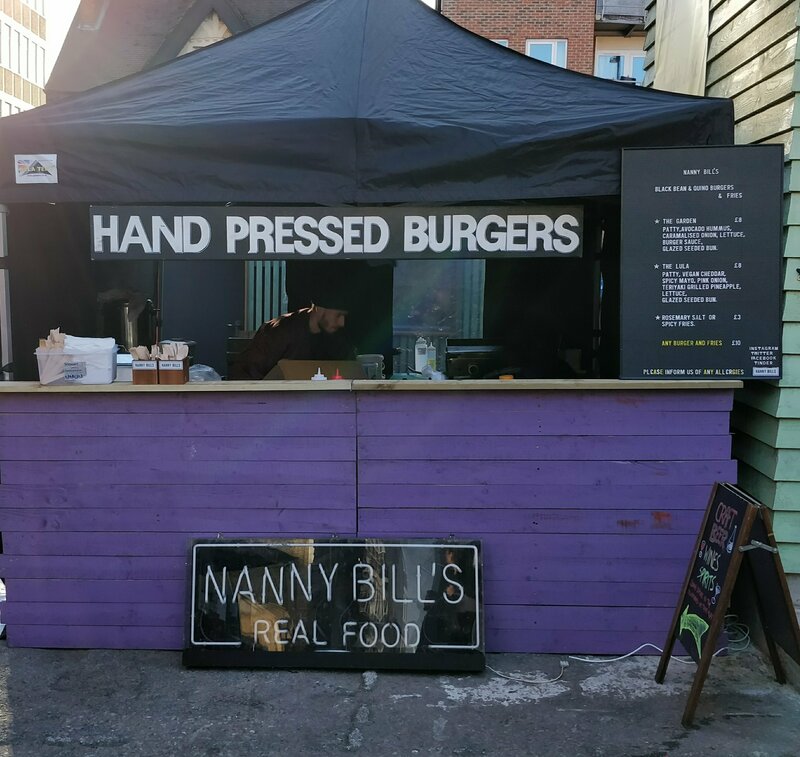 There were another couple of stalls I haven’t tried from before Pig Out and Nanny Bills which I look forward to trying in the future. 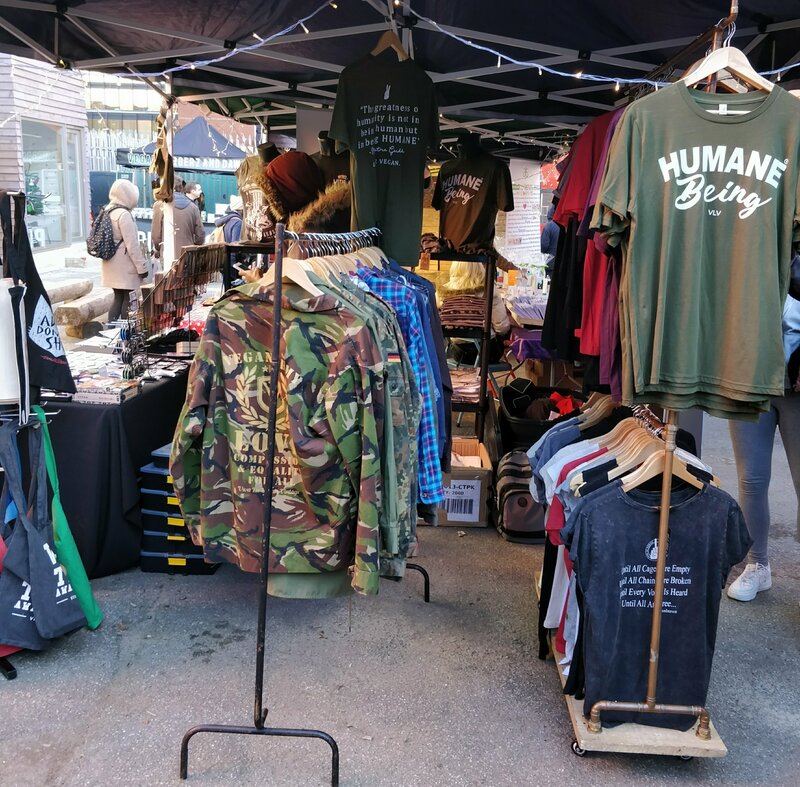 I had a look at the Blue House Yard Facebook page and it looks like they have regular craft markets here with occasional themed ones like this vegan one. If this is local to you I’d definitely check it out or if you’re visiting the area for the day. Have you tried any of these vendors? What did you think? Have to been to Blue House Yard before? Let me know in the comments below.